Photo credit: Big Picture Media. Fla.—Holiday Mountain is hitting the road and making a few stops in Fla. On April 29, they will be at Underbelly in Jacksonville. Then, they will be performing at Will’s Pub on April 30 in Orlando. They will continue to the Tropical Heatwave Music Festival in Tampa, on May 2. Dunedin Brewery in Dunedin on May 3 will close out the tour of the Sunshine State. Before they embark on the summer tour, they will have a residency at The Scott Inn in Austin, Texas. The tour will begin at Lola’s Saloon in Fort Worth, Texas and conclude at Keep Austin Weird on June 27. Laura Patiño is the keyboardist and vocalist, Bradley Will plays the synth, bass and provides vocals and Zander Kagle is the drummer of Holiday Mountain. The three of them met, while attending Berklee College of Music in Boston. The common ground they had the same yearning to push their music boundaries as far as they could. They are influenced by Billie Holiday, Little Dragon, M.I.A., Major Lazer and The Yeah Yeah Yeahs. Their sound is a mixture of world, dance and pop music genres. It has been described the subgenre “psych-dub”. Holiday Mountain will be on tour promoting their soon to be released EP, “You Be You, Part 1”. It is scheduled to be released on April 28. It was produced by Grammy-nominated producer, CJ Eiriksson (U2, Phish). For the EP, he mixed unconventional melodies with “danceable grooves and beats”. They were heightened by Patiño’s desolate yet unearthly vocal sound. Recently, Holiday Mountain released the music video for “Slow Motion Thugs” and it can be seen on SPIN’s website. To view the video, please click here. Pre-orders are being taken for the EP and “Slow Motion Thugs” can be downloaded by clicking here. After performing at South By Southwest (SXSW), Patiño had some advice for Holiday Mountain’s fans. “It's okay to be who you are, dance hard even when everyone is looking at you, and f**k the haters." 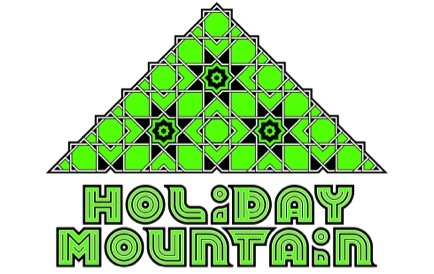 To visit Holiday Mountain’s website, please click here. To “Like” them on facebook, please click here. To follow them on Instagram, please click here. To follow them on twitter, please click here.